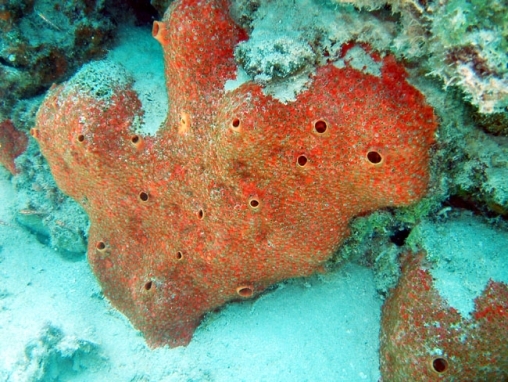 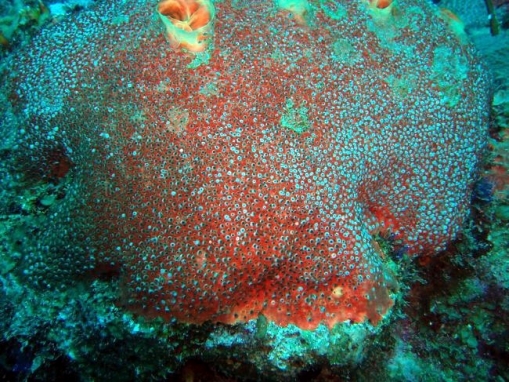 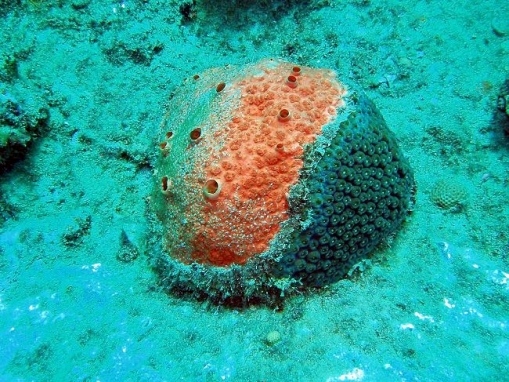 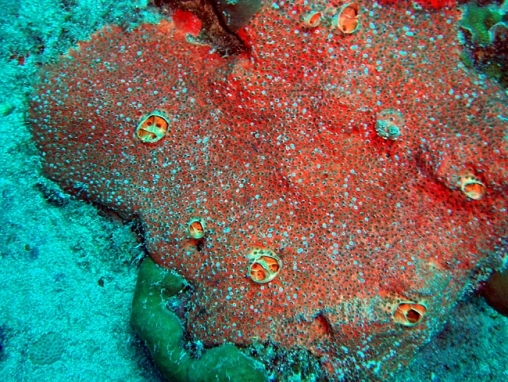 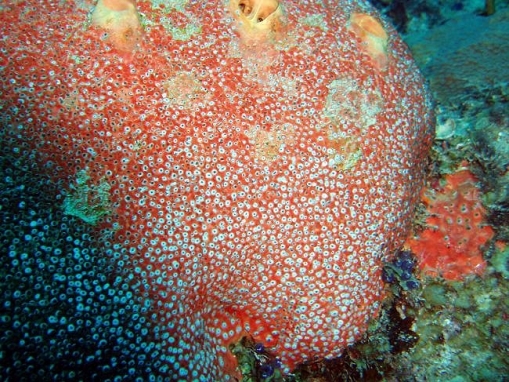 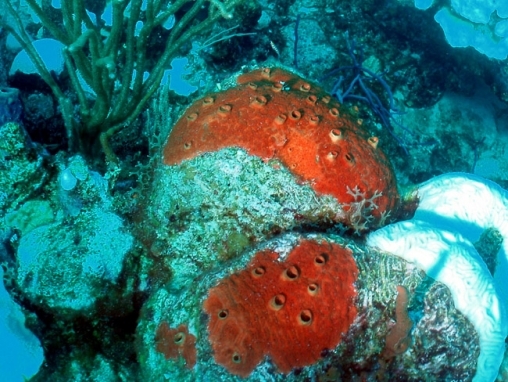 A red encrusting sponge, with large, prominent exhalent openings. 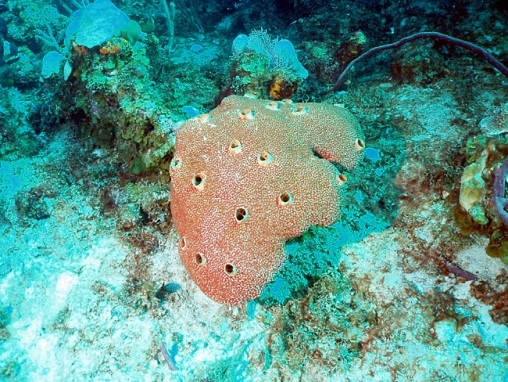 The sponge is deeply burrowing, and appears to be highly aggressive. 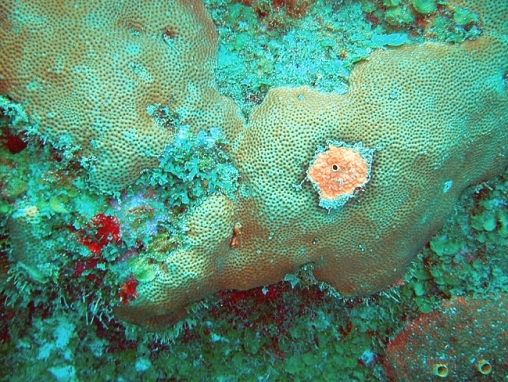 It usually kills the corals which it overgrows. 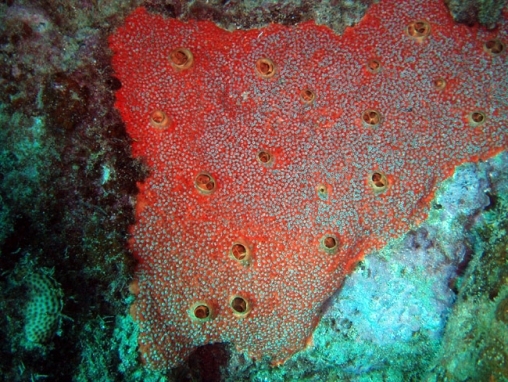 Most colonies are also covered with small white zoanthids (Parazoanthus parasiticus) which give a white dotted appearance.